A man takes down an altered American flag in a public art display in front of KU's Spooner Hall, Wednesday, July 11, 2018. • July 12 — After drama over KU’s flag display, how are other sites displaying the artwork faring? Citing concerns over public safety, the University of Kansas on Wednesday removed a public artwork from campus that had triggered complaints from congressional candidate Steve Watkins, Gov. Jeff Colyer and others around the state. 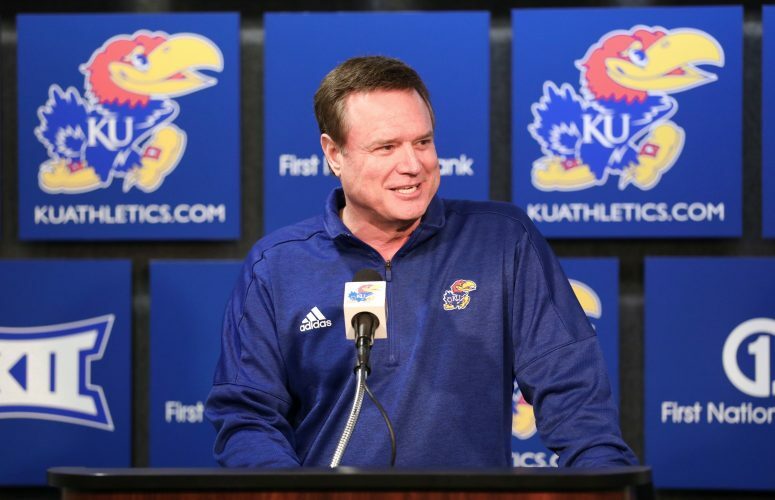 KU Chancellor Douglas Girod announced the move late Wednesday afternoon, just hours after the Journal-World’s initial story on Watkins’ criticism of the public art project, which he felt disrespected the American flag and military members. The art piece, by German-born artist Josephine Meckseper, was installed just last week on the KU campus, near The Commons at Spooner Hall. Its resemblance to the American flag — with some added imagery by the artist — prompted Watkins, a combat veteran and Republican candidate for Kansas’ 2nd Congressional District, to decry the project as defacement of a treasured American symbol. 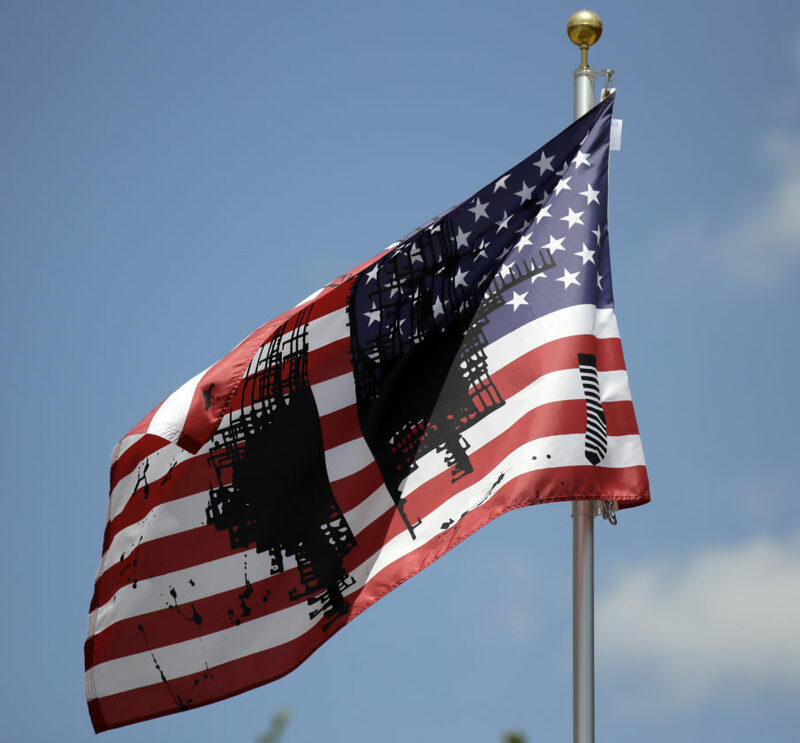 The flag’s artist, Meckseper, was commissioned by Creative Time, a New York City-based public arts nonprofit, to create the piece as part of the group’s “Pledges of Allegiance” project. She is based in New York City, and it’s unclear if she has ever resided in Kansas. The Journal-World was unable to reach Meckseper on Wednesday. KU is one of 11 institutions at 14 locations across the country participating in “Pledges of Allegiance,” which its creators say “aims to inspire a sense of community among cultural institutions” amid the nation’s divisive political climate. KU’s Spencer Museum of Art and The Commons partnered to host the project at KU. In his statement Wednesday, Girod said the yearlong series was “intended to foster difficult conversations.” But over the course of the day, “the conversation around this display has generated public safety concerns for our campus community,” he said. Girod’s statement did not mention specific threats. 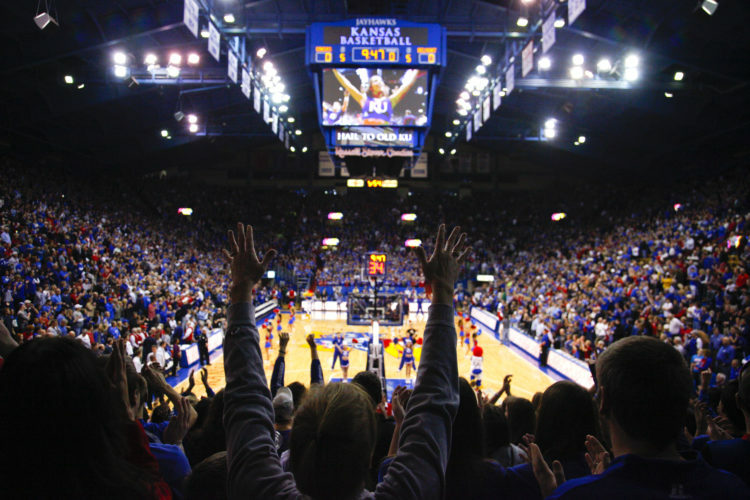 KU’s Office of Public Safety, when contacted by the Journal-World, declined to provide details on the nature of these safety concerns, instead referring the reporter back to KU’s Public Affairs department. 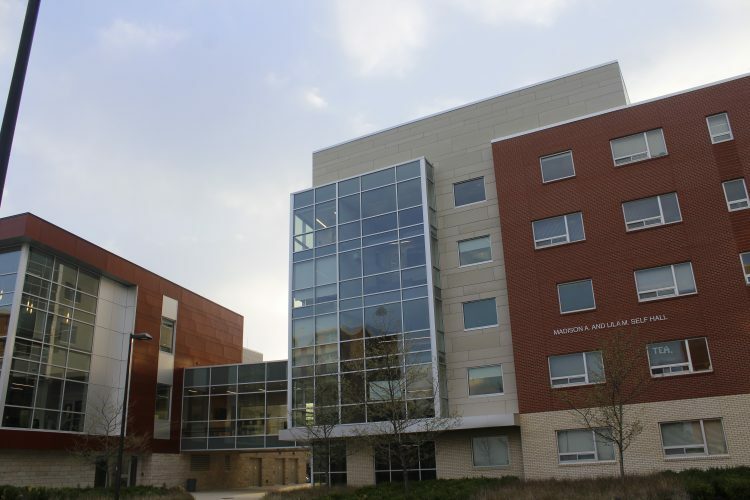 The university’s PR arm had yet to respond to that inquiry as of Wednesday evening, however, and had been unresponsive to most inquiries throughout the day as well. Erinn Barcomb-Peterson, KU’s director of news and media relations, did offer a brief statement when originally contacted Wednesday morning. The message provided some background information on the “Pledges of Allegiance” project, but did not specifically defend the art project or address Watkins’ criticism of it. Although the Spencer Museum declined to comment on the matter Wednesday, it did respond Tuesday to criticisms on Twitter, defending the art and providing context for the exhibit. “I divided the shape of the country in two for the flag design to reflect a deeply polarized country in which a president has openly bragged about harassing women and is withdrawing from the Kyoto protocol and UN Human Rights Council,” her statement read. “I have no demands of the artist, university administration, or students, other than this — thank a soldier,” Watkins said. Later, in an interview with the Journal-World, Watkins again stressed that he was not asking for the flag to be removed. He merely wanted to remind the university and the greater public of the sacrifices made by soldiers to protect the rights symbolized by the flag, he told reporters Wednesday outside The Commons. The governor, however, did call for the artwork to be taken down, joining several political candidates for state and congressional office criticizing the piece. The flag was removed shortly before 4:30 p.m. Wednesday after Gov. Jeff Colyer “demanded” it. “The disrespectful display of a desecrated American flag on the KU campus is absolutely unacceptable. Men and women have fought and bled for that flag and to use it in this manner is beyond disrespectful. 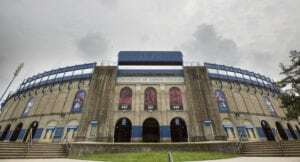 I have communicated with KU Chancellor Doug Girod and Board of Regents President Blake Flanders to express my disappointment that a taxpayer funded institution would allow such a display of our sacred flag, and I demand that it be taken down immediately,” Colyer said in a news release. 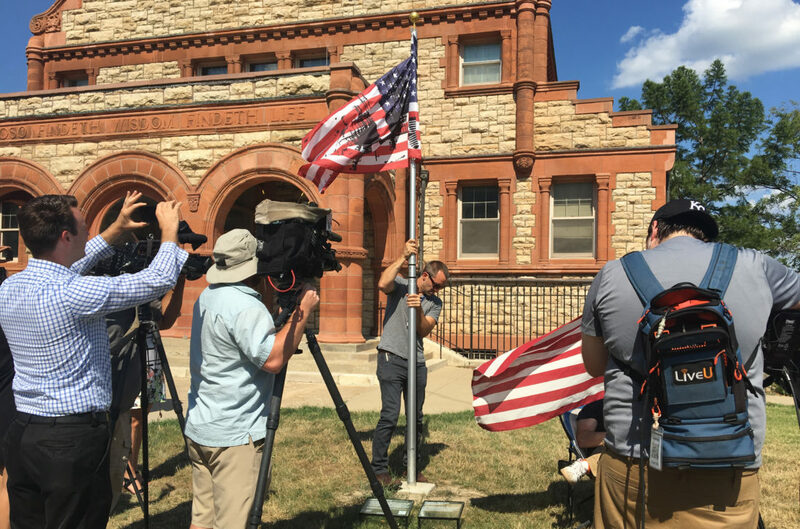 The Journal-World was later told by Colyer spokesman Kendall Marr that Girod had agreed to remove the flag after speaking with the governor Wednesday. A man takes down an altered American flag in a public art display in front of KU’s Spooner Hall, Wednesday, July 11, 2018. Not all Kansas politicians joined in the criticism, however. State Sen. Marci Francisco, a Lawrence Democrat whose district includes the KU campus, said she was “glad” to have had an opportunity to visit the installation before it was taken down. 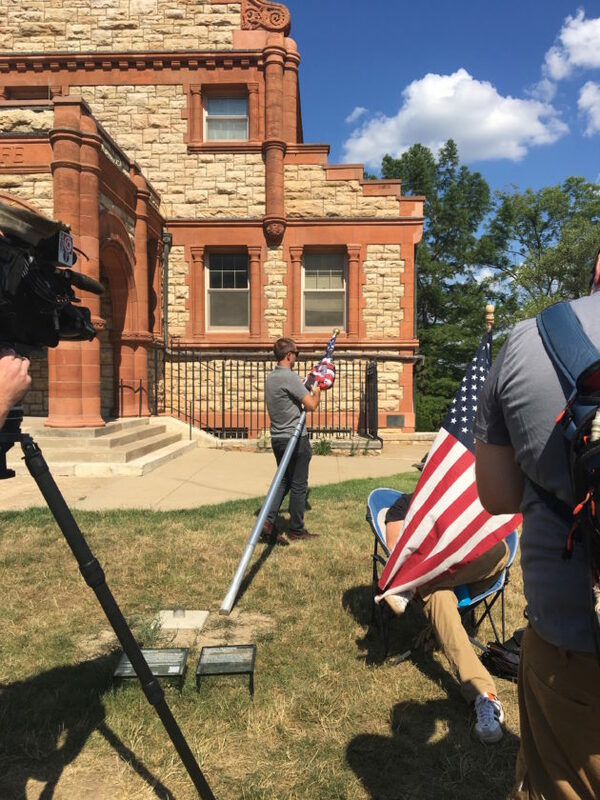 In her opinion, the flag was “very appropriately marked for an installation of a piece of art,” with signage near the pole clearly explaining “the artist, the background of the project and the sponsors, Spencer Museum of Art and The Commons,” she told the Journal-World. Meckseper’s piece is the last of 16 flags created for the “Pledges of Allegiance” project, which launched at KU in November and will run until July 30. 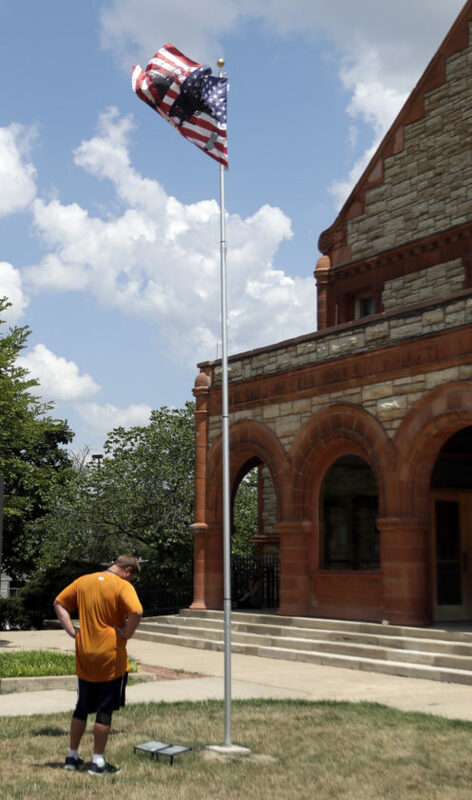 It was installed at the KU campus near The Commons at Spooner Hall, on July 5. 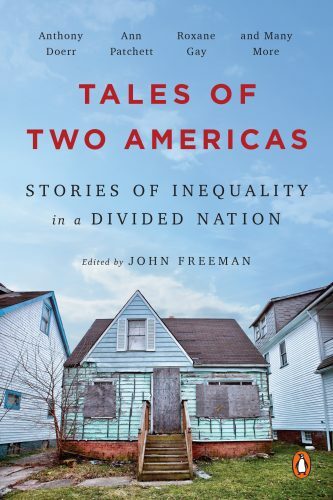 — Statehouse reporter Peter Hancock contributed to this report.